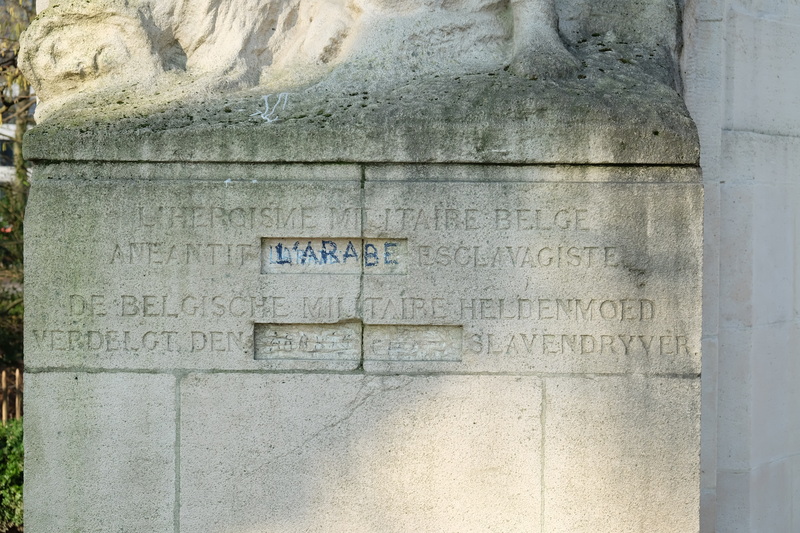 This picture is a sequel to previous posts about the contestations of the text on the ‘monument to the Congo warriors’ in the Cinquantenaire parc which are in the ‘Congo Monument’ category. 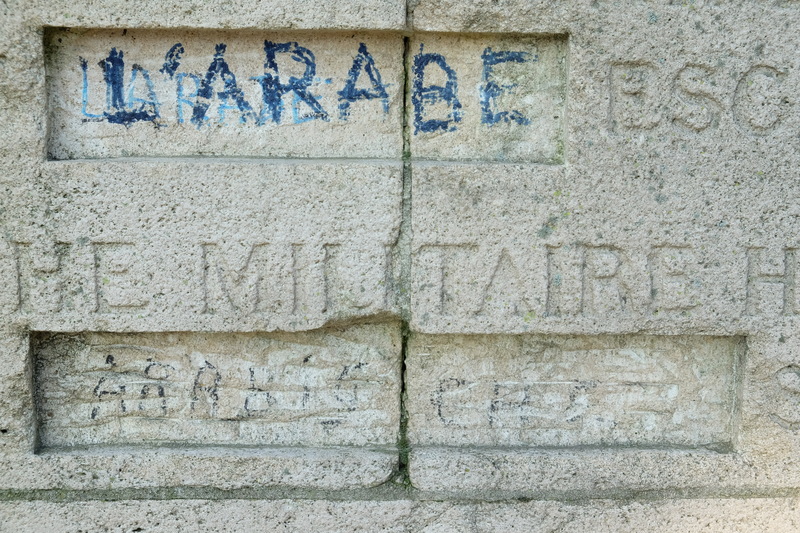 The scratching out and reinsertions of the words ‘arabe ‘ (fr) arabische (nl) is continuing. For more context on what is going on, please read the thread.